Year two students write a recount in the form of a postcard to someone else in the class about something they did or somewhere they have been. The recount demonstrates understanding of language features including tense and linking words and the information that would interest the reader by providing details of who, when, where, what and some opinion or feeling about the experience. 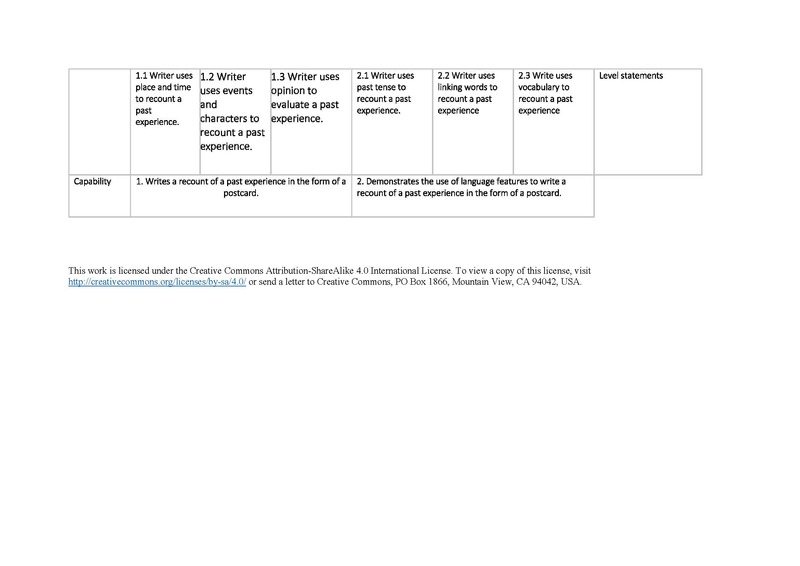 The purpose of the assessment I am developing is to provide advice to students about how I will be assessing their writing of a recount in the form of a postcard; I will use it to provide evidence about what the students know and what they need to learn next. 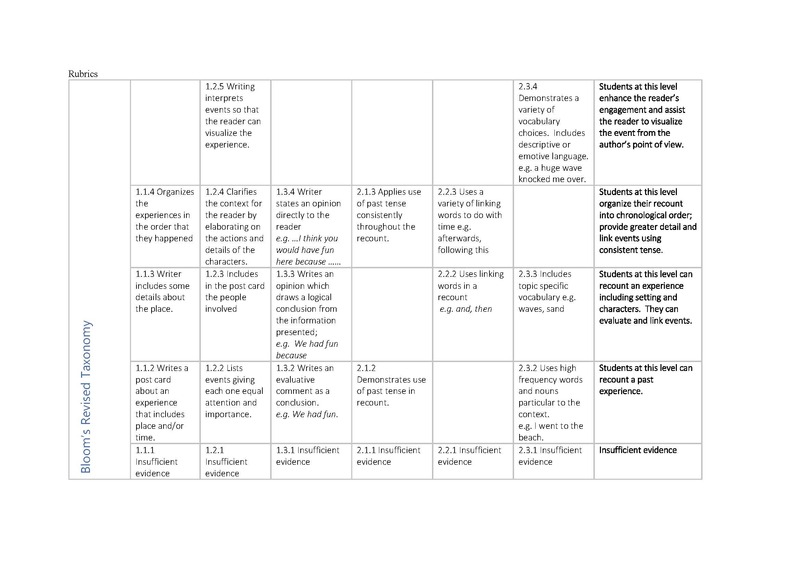 The rubrics will indicate the development of the student’s knowledge about the types of information to include in a recount and the language features that distinguish it from other forms of writing.